Suffolk’s next Chief Constable has been selected, subject to the appointment being confirmed by the Police and Crime Panel at a hearing on 25 January. 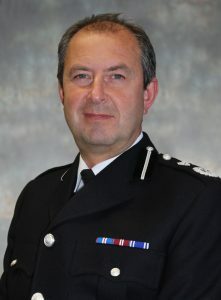 Suffolk’s Police and Crime Commissioner, Tim Passmore and an appointments panel, selected Steve Jupp as the next Chief Constable following a rigorous selection process. Steve, who recently retired as the Constabulary’s Deputy Chief Constable, joined Suffolk Constabulary in 2015 from Nottinghamshire Police where, in his role as Assistant Chief Constable, he was responsible for Crime Investigation and Reduction. His policing career has had a particular focus on tackling serious and organised crime and has seen him occupy key senior posts including that of Detective Chief Superintendent at West Midlands Police. He has also served with the Metropolitan Police Service. Suffolk Constabulary’s Assistant Chief Constable (ACC) Rachel Kearton has been promoted to the post of Deputy Chief Constable with the force. ACC Kearton took up her new role from on 1 January. She has more than 20 years’ policing experience, serving in Hampshire and West Yorkshire Police before joining Northumbria Police in 2007. Rachel joined Suffolk Police in September 2015 as Assistant Chief Constable, following a career break during which she worked for the Foreign and Commonwealth Office based in Turkey. Recruitment for a permanent ACC post is now under way. In the meantime Chief Superintendent David Cutler has stepped up to be Temporary Assistant Chief Constable on an interim basis.